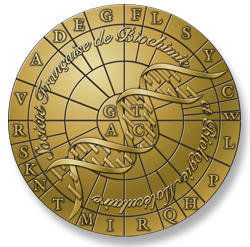 Welcome to the SFBBM, the French Society for Biochemistry and Molecular Biology. 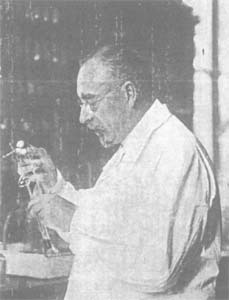 The Society was founded by Professor Maurice Nicloux on March 14, 1914 at the College de France in Paris. Since 1914 our Society has contributed to the spread of knowledge at the interface of biology and chemistry. The disciplines, biochemistry and molecular biology are both transversal and at the very heart of the understanding of the living mechanisms. As such, they reach a very broad community of biologists. In this context, the SFBBM continues today to be an important vector in the scientific community and despite its 100 years it has always been able to change and evolve with its time. This scientific adventure begun 100 years ago is reported with force and detail in a remarkable collection written by Professor Guy Dirheimer and published in a special issue of "Regard sur la Biochimie", dedicated exclusively to the centenary of the society. To celebrate this anniversary SFBBM organized with FEBS and EMBO in August 2014 in Paris an international congress that gathered more than 2600 participants from 67 countries on all continents. "Regard sur la Biochimie - 100 years special issue"